Throughout the year Hope Awaits Ministries holds various fundraisers to help support the ongoing costs. 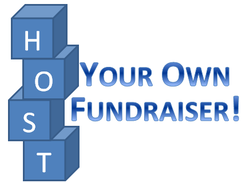 Check out some of our fundraisers, or host your own! The Homeless Night Challenge is an overnight fundraising competition designed to raise awareness for men's homelessness in North Bay and area by demonstrating barriers homeless men face. For more information click here. Join other bikers in riding around Lake Nipissing while raising money for a men's homeless shelter! It will be a day long event, so you can take your time and enjoy the sights as you circle the lake. For more information click here. This September you can ride your bike, or walk, for a reason! Join us this September in our Annual Bike-a-thon to raise money for Hope Awaits. As not everyone bikes, or is able to bike, we are also including a walk option for those who still want to participate in this great event! For more information click here. If you have an idea of how you can raise money to support this ministry we would love to hear about it and help you in whatever way we can. We are sure that there are many creative fundraising ideas out there, what can you come up with? For more information click here. We have both Hope Awaits T-Shirts and Prayer Keys for sale. For more information click here.